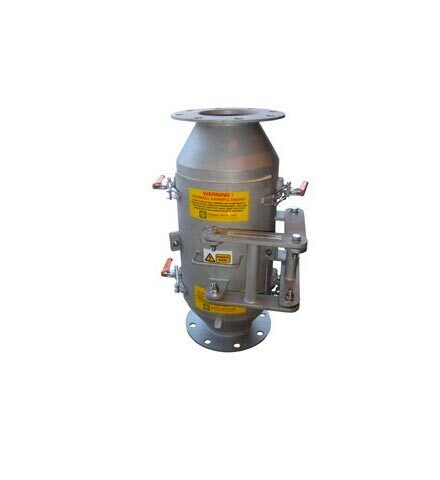 The Greenwood High Pressure Pipeline magnet was designed and manufactured for one of the World’s leading confectionary companies. 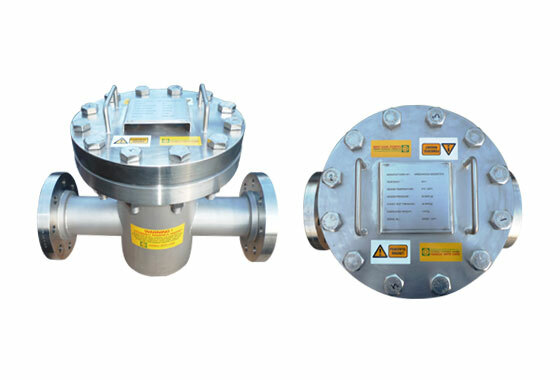 It is similar to the standard pipeline magnet (see pipeline magnet) but manufactured to much higher pressure. 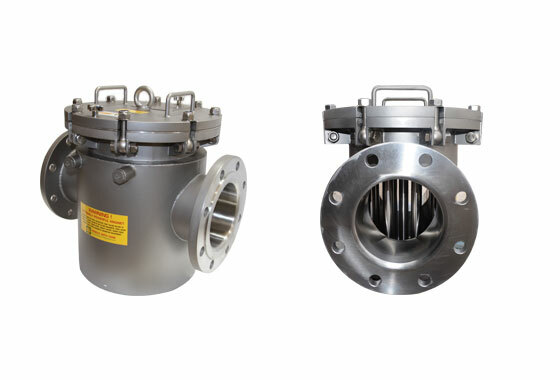 High intensity rare earth easy-clean magnetic tubes (up to 10000 gauss) filter unwanted ferrous and semi –ferrous metal contamination from the product stream present in the line. 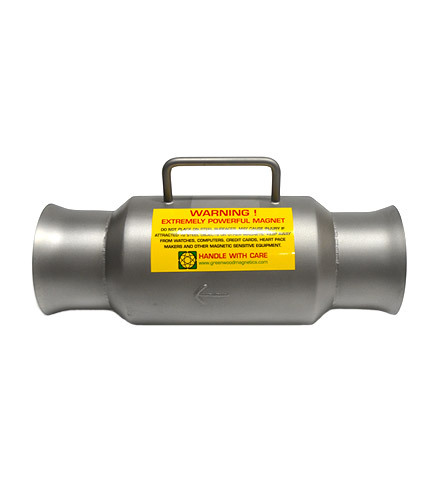 Designed to 16 bar and pressure tested to 19 bar at ambient temperature, the pipeline magnet has quick release swing bolts to reduce down time whilst cleaning the easy-clean magnetic tubes. 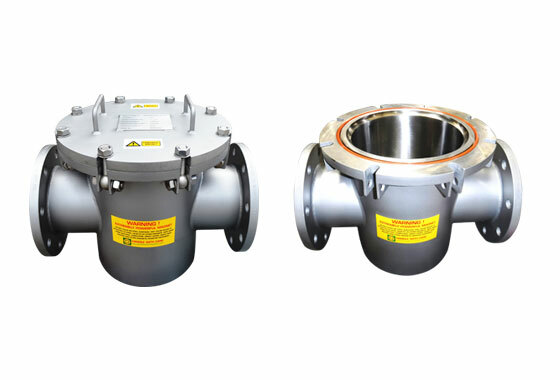 As a result of the success of this pipeline magnet, the client requested a second high pressure pipeline magnet with a specially designed water jacket to prevent water leakage. 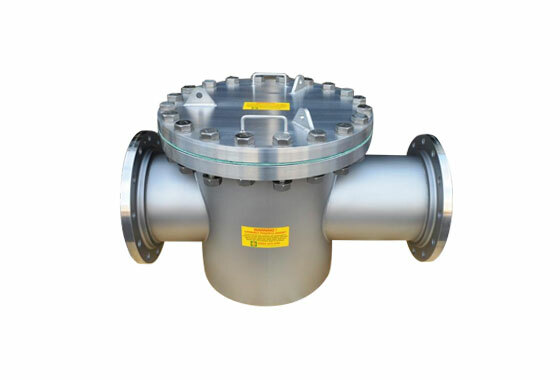 20 inch Pipeline Magnet for 12" line - ASME B16.5 12" 150 lb flanges - Pressure rated to 1bar- tested to 2.5 bar -Flange to flange dimension: 1050 mm. 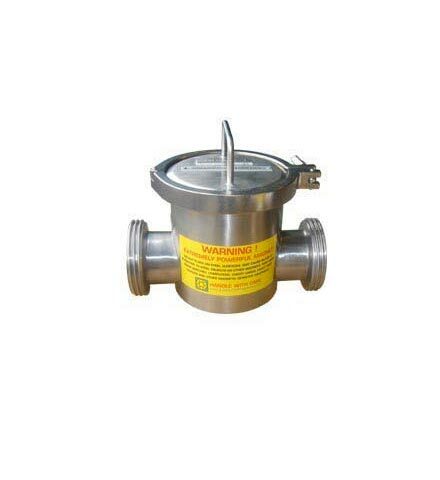 Pressure drop though pipeline 1 kPa. 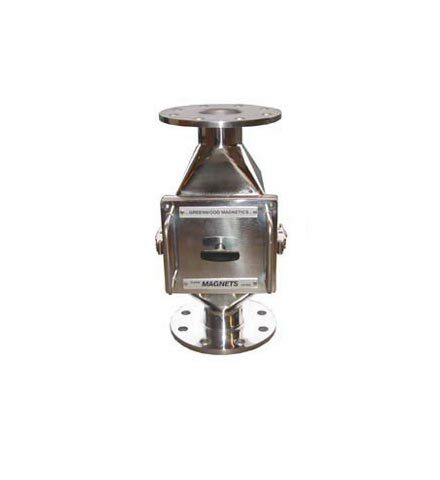 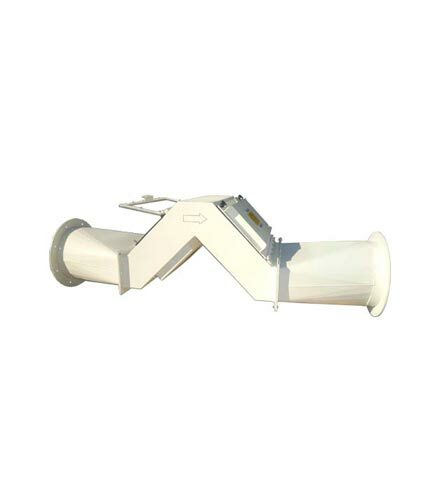 Designed for the prevention of ferrous particles blocking flame arrestors in a gasoline pipeline.